ALERT! 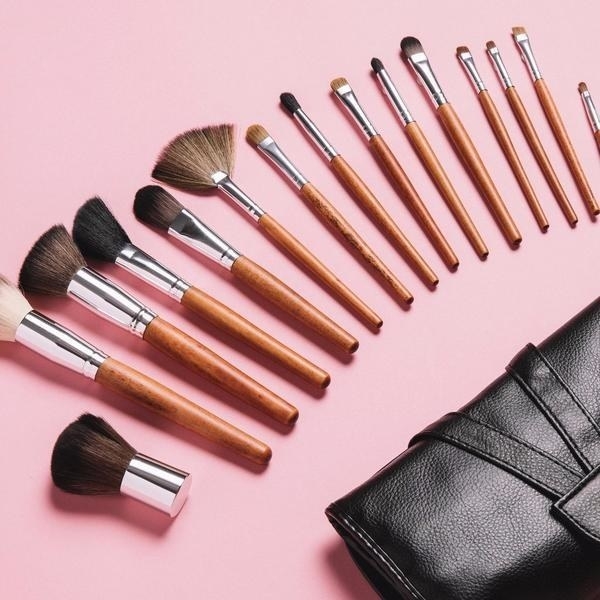 For a limited time only, get the cleansing brush everyone is talking about for $49.99, and get a free makeup brush set with purchase — a $219.98 value! — when you follow this link! There's a pretty good chance you've already seen the Vanity Planet GlowSpin in the feeds of your favorite beauty influencers. But did you know that for a limited time you can get the GlowSpin for 66% off the retail price AND they'll throw in a free makeup brush set? So it's basically like getting 77% off! If you're not familiar with the GlowSpin, it's a two-speed spin brush that DOES IT ALL and helps to reveal your natural glow. It comes with three detachable brush heads: a daily cleansing brush, an exfoliating brush, and a silicone brush. And it's water resistant, so you can use it in the shower! One thing that makes GlowSpin so 'grammable is its array of colors. There are three different pastels — Pucker-up Pink, Bombshell Blue, and Not UR Mom's Purple — so there's sure to be a GlowSpin to fit your ~aesthetic~. And people are LOVING it. Just check out these ~glowing~ reviews. ...and that it really does make their skin ~glow~. Have sensitive skin? The silicone brush head was designed specifically for you! Plus, every GlowSpin comes in a handy case, which is perfect for travel and makes storing it super easy! And while GlowSpin and the makeup brush set together usually retail for $219.98, we are excited to offer a special price — $49.99! — for BuzzFeed readers. Click this link for 77% off your total purchase! Beautiful skin starts with clean skin. The GlowSpin is designed to remove more dirt and nasties than just washing with your hands, so stop cleaning your face like it’s the 1800s!